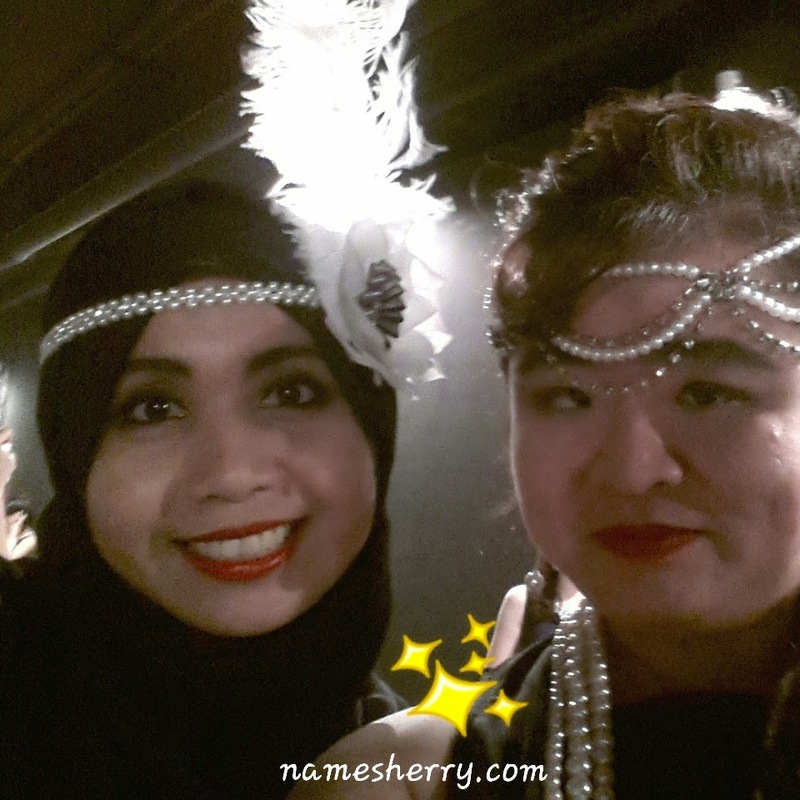 Lovely Ayue and me, I bought my headgear from Lovisa. Believe it or not, it is my second piece since the first piece broken after I tried thrice times. I bought the exact same piece when I was attending a goat dance the night at Sunway Pyramid. Many choices on the head gear as you can see, pretty isn't it? I was lucky as it was the last piece available, I am happy that it is well kept all the time and didn't break like the first piece. I go through many dresses in my closet to find the suitable dresses for The Party Of The Century, the theme Glamours 1920s. I have a long black dress but I didn't use it as I am afraid of my clumsiness with staircase steps. I am happy that I decided to dress with my little black dress. above I done a light makeup on 1920s, it was my second trial on 1920s makeup. 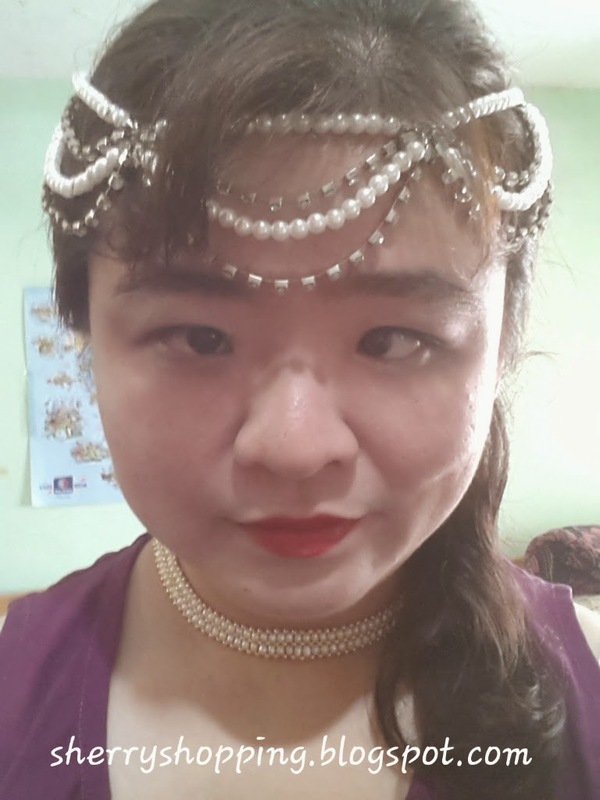 I tried on the makeup myself for few times to make it 1920s. 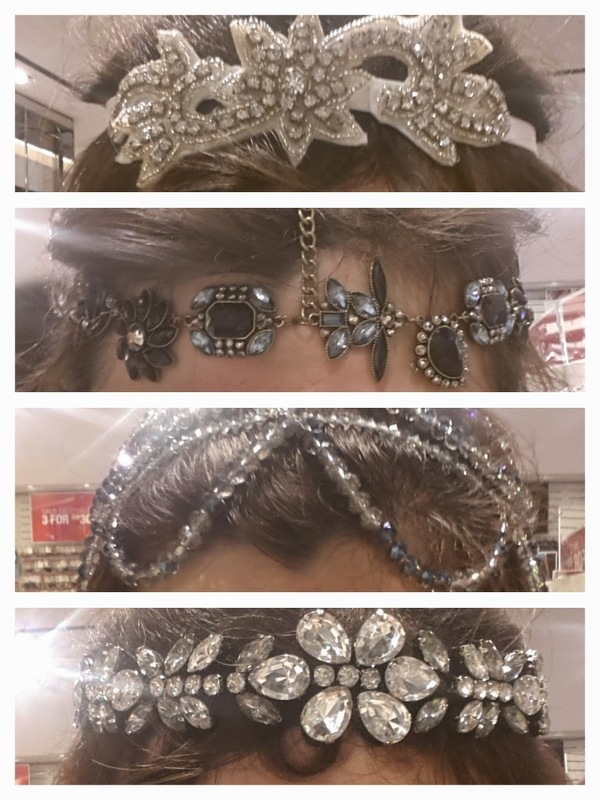 I also try a few hairstyles to suit 1920s. I did braided hairstyle myself as I find out that no salon nearby that knows how to do it. The necklace and bracelet I bought from Forever 21 at Sunway Pyramid. I spotted there was sales on the bracelet. I shopped the dress at Empire Shopping Gallery, Subang Jaya. I love pearls so I manage bought another set of bracelet from Lovisa in Paradigm Mall. Someone asked me where I bought the lovely cape, it's from Zalora. I bought it during sales it cost RM79.90. My pearl earrings are purchase from Red Revenge at RM29.90. Gloves from Times Square at RM19.90. 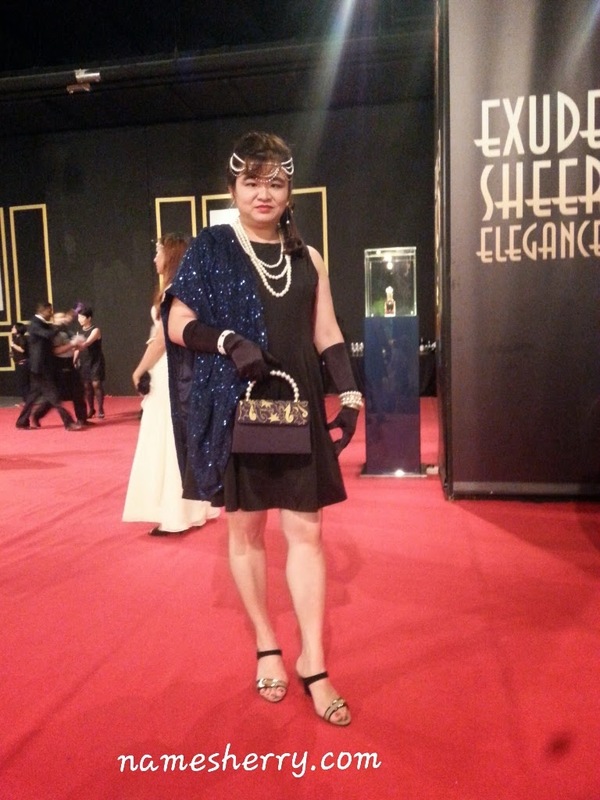 I know I need to find 1920s shoes so I decided to check XES Premium that is available at AEON BIG, Subang Jaya. With my dear coming alone, knowing he needs a new pair of working shoes. It is just nice that I have mine for only 80 cent. Yeah you heard it right, second pair of shoes for 80 cent. In fact it goes the same with the bags of XES signature, it is only valid for XES brand. Everyone so lovely the night, photo above credit to Syafiera Lewis.